The Traxxas QR-1 is a fun mini-quadcopter. Not good for outdoor flying and poor battery are two major drawbacks. Traxxas QR-1 Quadcopter Frame Body Fuselage Replacement Part - FAST FREE SHIPPING FROM Orlando, Florida USA! The Traxxas QR-1 is an amazing tiny quad for novices because you don’t have to worry about this tiny quad getting damaged form your first accidental crashes. This is a huge plus for novices. It may be tiny, but this quadcopter is capable of withstanding crash after crash, hit after hit from novice experiences. or any other separate parts. In the box comes the quadcopter, transmitter, Traxxas AAA alkaline batteries for the transmitters, manual, 2 1s Li-Po batteries, extra set of blades and a dual USB charger. Although only one battery is needed for the transmitter, the USB charger can charge both of these batteries at the same time. The transmitter of this quad comes equipped with two Li-Po batteries which can be charged in about half an hour. It’s amazing to see that these batteries can be charged using the USB charger and your laptop as a power source. In case you don’t have a laptop, you can use an adapter, which allows you to plug-in the USB charger to an outlet. If you want to keep the fun consistent you should purchase two extra batteries. In expert mode, the QR-1 can do rolls and flips. For novices, it can be difficult to learn to perform these stunts, but it’s definitely worth the effort. Once you have learned to perform these stunts, you can take it to the next level with a larger model. The tiny size of this quad allows you to fly it through small spaces and do stunts that can be difficult for larger quads. You can also make your own fun little obstacle courses to try to amplify the challenge and fun and improve your skills. It is recommended to fly the Traxxas QR-1 indoors. This quad can technically be flown outdoors, but because of its tiny size it can be easily overwhelmed by even the slightest wind. However, if you do ever want to fly this quad outdoor, then you will have to do it on a day where there isn’t even a hint of a wind. The controller feels more like a console game controller than a flight controller, but this is a good thing. Because of its 2.4 GHz radio control, the transmitter can provide you with a great range. You will not often have difficulties with frequency between your quad and your transmitter. The transmitter also allows you to switch between an expert and a normal mode. This, along with many other adjustments you can make on the transmitter, is handily and visually available on the LCD screen of the transmitter. The Traxxis QR-1 isn’t the most stable of the micro quadcopters out there, but it is quite decent. If you haven’t been flying any other quadcopters right before or after, you would think that this one is pretty decent, and it’s good enough of the Traxxis QR-1 is your only quadcopter. The excellent manufacturer support is probably the top feature of the QR-1. This quad comes with a special warranty that allows you to replace some parts when needed. And also, if you are tired of this quad you can trade in your current quadcopter for another different model for just half the price. You may not get this new quad with batteries for the transmitter. However, if you have already purchased a second pair for your previous quad, that wouldn’t be such a problem. The Traxxas QR-1 is the simple way to experience high-speed airborne excitement and acrobatic flying thrills. Normal Flight Mode makes it simple for anyone to quickly master flight and hovering in only few minutes after takeoff. 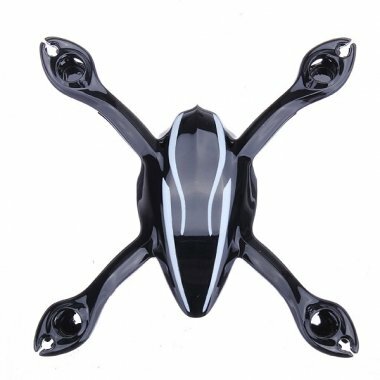 6-axis stabilization and quad-rotor thrust combine in Expert Flight Mode for lightning fast response, snap rolls, high-speed banking turns and flips. Let go of the stick and the Traxxas QR-1 to stable flight. It can be used indoors and outdoors. It is recommended for the first few flights to fly it in a normal mode, but after you learn how to control it you can fly it in expert mode. You set expert mode by pressing in the right stick and release it. The transmitter LED will flash and it will also say expert mode on the LCD screen. and battery if you are courageous enough. However, it is probably best to leave these alone, and just make a mental note that this is not standard. All in all, the QR-1 provides you with a lot of fun. It takes time and a lot of practice to master all of the basic controls and tricks, but this adds to the fun for novices. The possibilities of how you can use this quad are endless, ranging from performing special stunts to making home-made obstacle courses. Their replacement warranty is also a nice touch. It basically says that you can send in a Traxxas QR-1 quadcopter in any condition, and they will replace it for just half the price. The manual is also great, and it even gives you some flying tips. With all of these amazing features, the Traxxas QR-1 would definitely be regarded the best micro quad for anyone to enjoy.